Job o’ the Day: Assistant Director of Career Development at UC Irvine School of Law! The Student Affairs Officer for the Career Services at UC Irvine School of Law is responsible for developing and coordinating job opportunities for students, with a particular emphasis on law firm and corporate counsel placement. Also, the Assistant Director will develop and interpret internal and external policies affecting the operations of the Career Development Office, make recommendations and implements decision on administrative/operational issues affecting strategically important department functions. The Assistant Director will also develop goals to meet the department’s objectives, provide employment counseling and career education for law students, develop relations with the legal employment community and expands the traditional and non-traditional employment market scope both substantively and geographically, and build relations with bar associations for networking and employment opportunities. To learn more about what a typical day might look like for this position, read this. To apply, check out the listing at PSLawNet! Learn About Loans Before Going to Grad School in this FREE EJW Webinar on May 10! Educational debt has become a crippling burden for far too many, and especially for those who want to pursue careers in public service. Equal Justice Works provides in depth information on loan repayment assistance programs and relief programs like Income-Based Repayment and Public Service Loan Forgiveness to help everyone pursue the career of their dreams. Interested in government or public interest work after graduating? This webinar will help you plan ahead and make sure you can take full advantage of the College Cost Reduction and Access Act, the most significant law affecting public service in a generation. 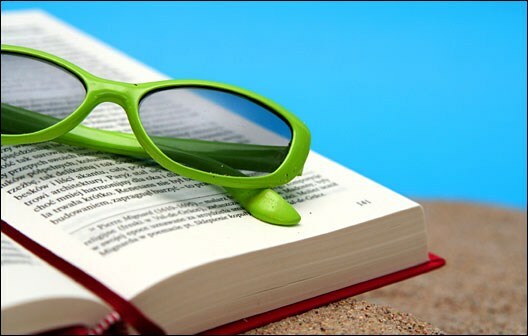 Check Out PSLawNet’s Summer 2012 Reading List! Summer is finally here! What better way to celebrate than by sipping Piña Coladas poolside reading?! For pleasure! Imagine that. Last year, after graduation and the bar exam, I went on a leisure-reading binge — I must’ve read 10 books in less than 6 months! I had forgotten how colorful the world of non-case law books could be! Well, now we’ve got you covered. We’ve compiled a list of 35 fiction and non-fiction books for the public interest-minded crowd. You can check them out here. Job o’ the Day: Assistant Director, Public Interest at American University, Washington College of Law! The Assistant Director, Public Interest (Assistant Director) will be responsible for developing new programs, bringing coherence to WCL’s vision and managing the many on-going public interest/pro bono projects sponsored by WCL. This position will be an advocate for public interest law and will be responsible for maintaining an institutionalized, formal Pro Bono Honors Pledge Program that promotes specific work opportunities and offers students guidance in selecting pro bono projects. The Assistant Director will encourage students to volunteer and become active participants during their law school career. The individual will also have oversight responsibilities for the Public Interest Public Service (PIPS) Scholarship Program and will work with each class of PIPS scholars to focus on various public service commitments while in law school. NALP and the Washington Council of Lawyers (WCL) is hosting “Destination Public Interest: How to Land your Ideal Public Interest Career” on Thursday, April 12 at 6:30 pm at the Georgetown University Law Center. The program will provide tips on how to refine your cover letter, improve your resume, enhance your interview skills, and maximize your professional networking. The program will be followed by light refreshments, and an opportunity for networking. Destination Public Interest is open to WCL Members, and non-members, lawyers, paralegals, and law students. There is no cost to attend, but please RSVP to attend so that we will know how many to expect. Wondering How to Get an Attorney Mentor? Here’s How. Michael P. Maslanka, the managing partner of the Dallas office of Constangy, Brooks & Smith, authored a post on LawJobs.com about how to approach a mentor. He gives 5 great tips for law students and new attorneys. It’s easy to lose sight of the big picture and think about mentoring from the mentor’s perspective when you’re so caught up in your own job searching worries, troubles and goals — but we can’t forget the the attorneys who are so willing to help us young ones and everything they’ve got going on! • No. 1: Be humble. • No. 2: Time is our most valuable possession. • No. 3: If you say something is important, treat it as if it is important. • No. 4: Create contact capital. • No. 5: Stay in touch. In addition to these great tips, Maslanka offers some wise insight for each one. Check it out here; it’s worth it. Thoughts? Anything you’d add to the list?